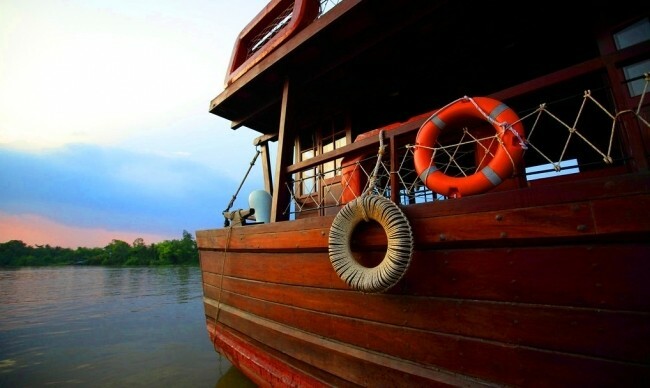 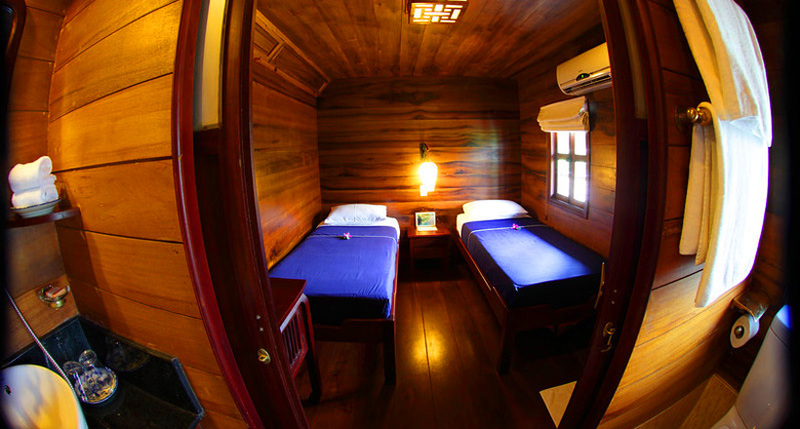 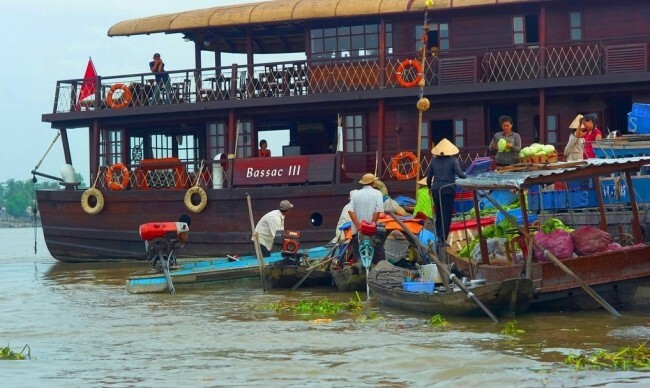 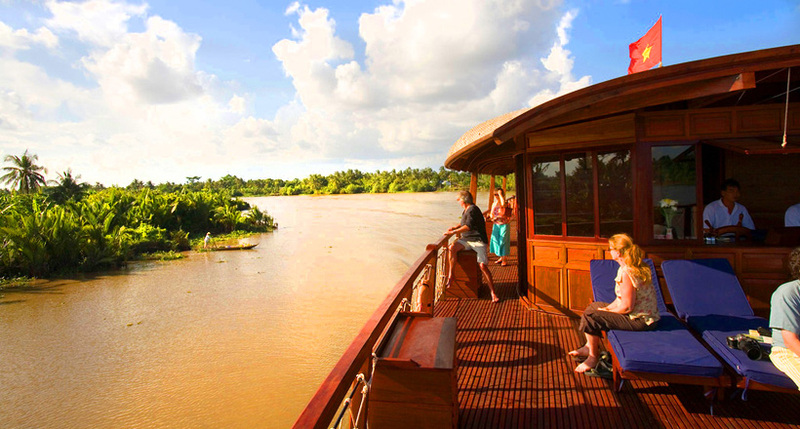 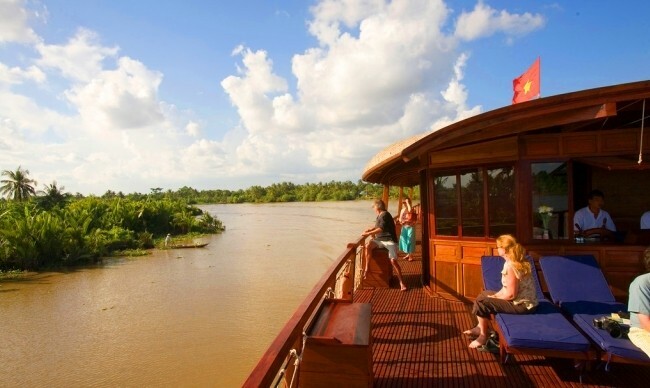 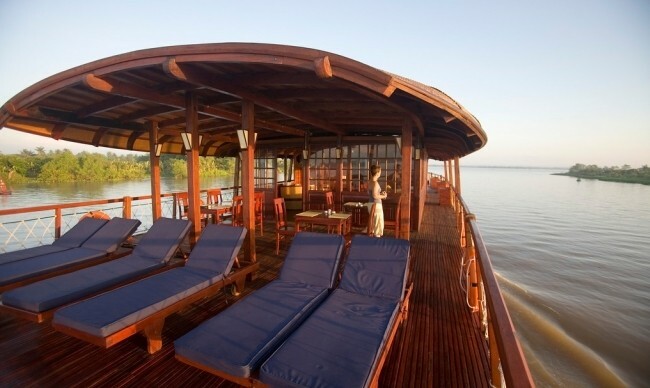 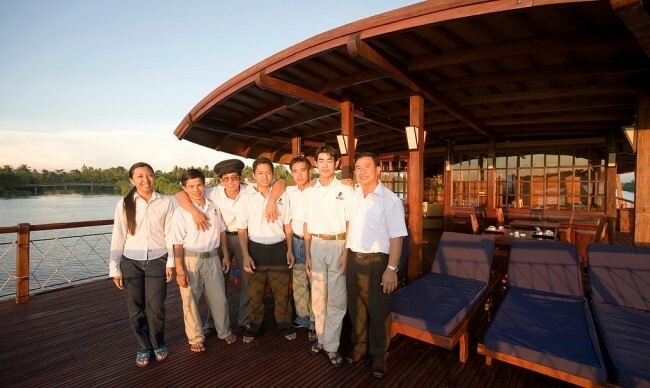 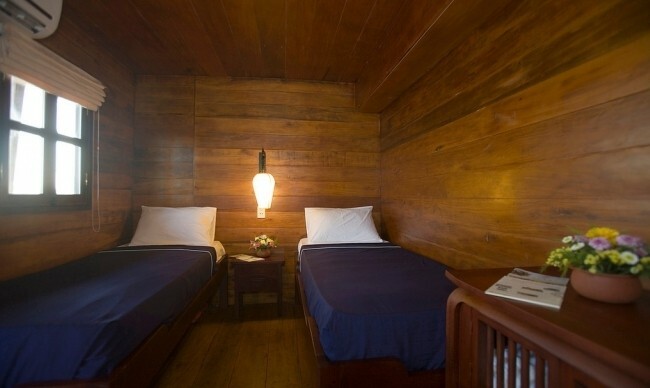 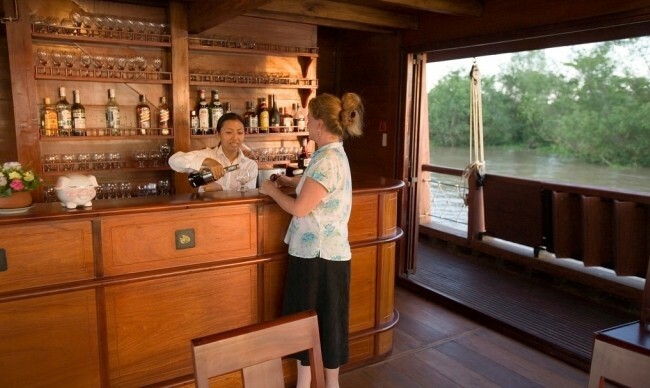 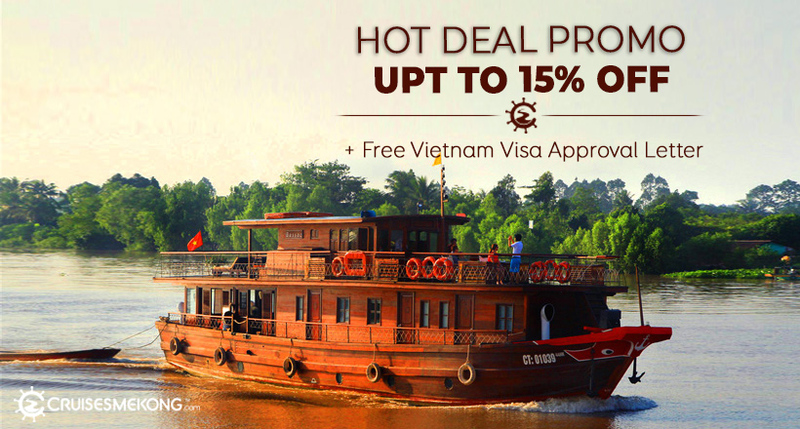 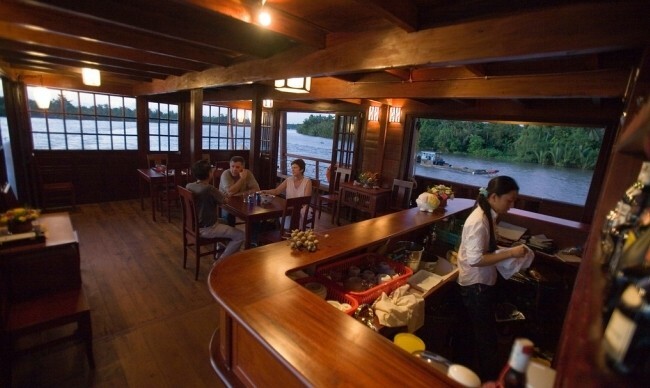 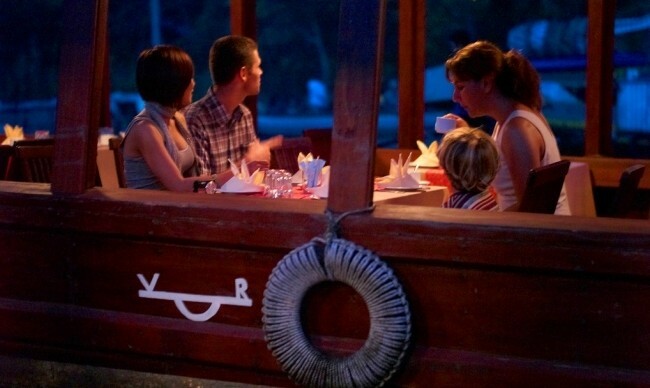 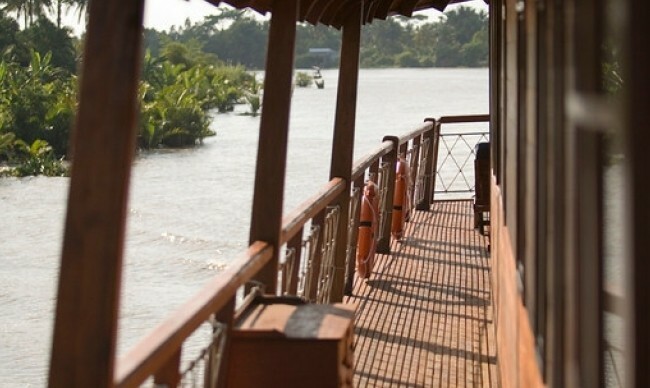 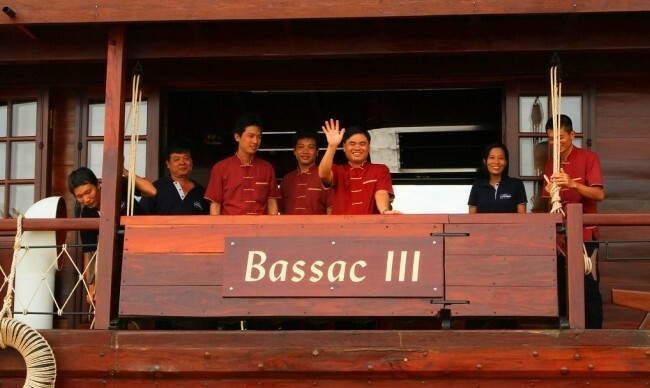 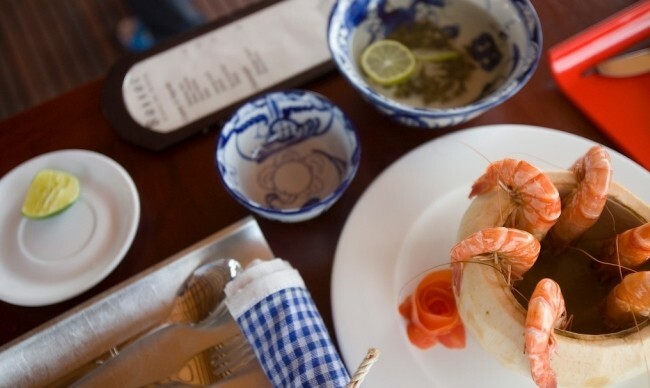 Bassac Cruise is a wooden ship that was designed in the model of traditional rice barges of the Mekong delta. 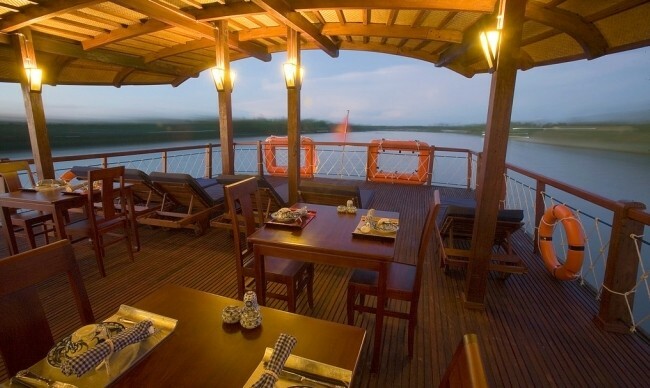 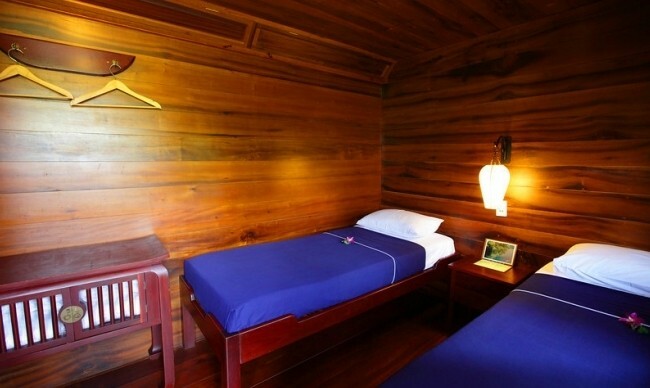 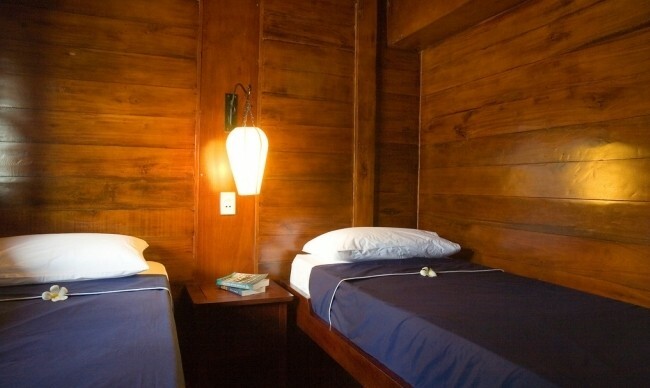 The boat consists of 12 nicely decorated cabins, a large gallery, a small office room and the spacious sundeck. 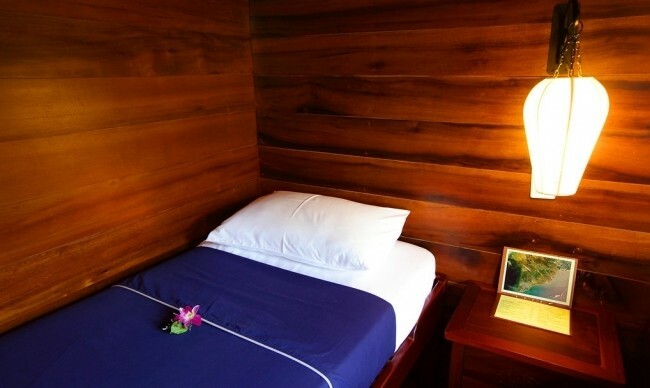 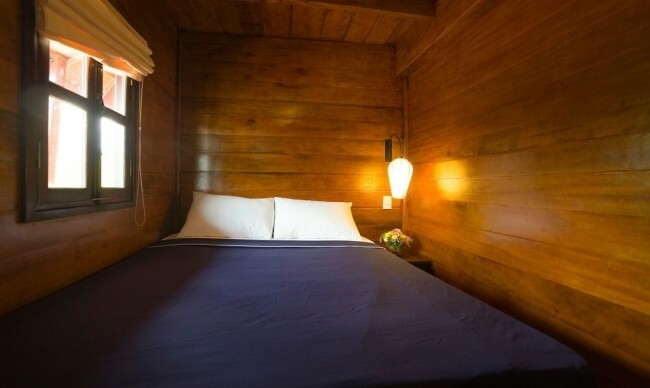 All were equipped with modern facilities that will make you feel comfortable and convenient as being at home. 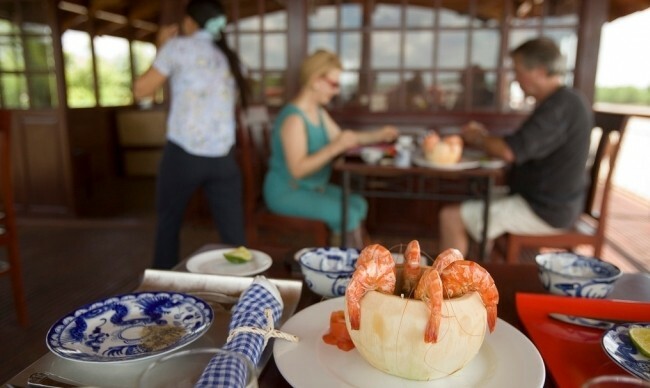 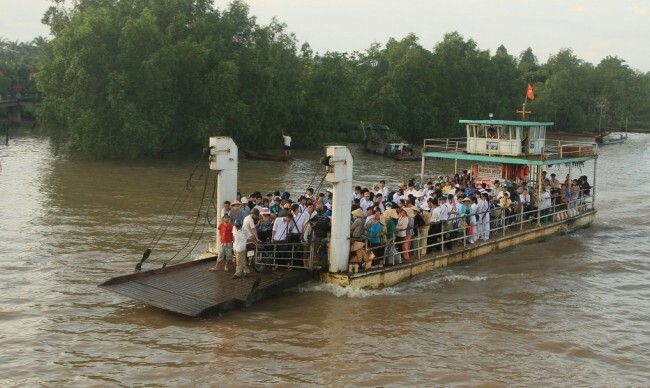 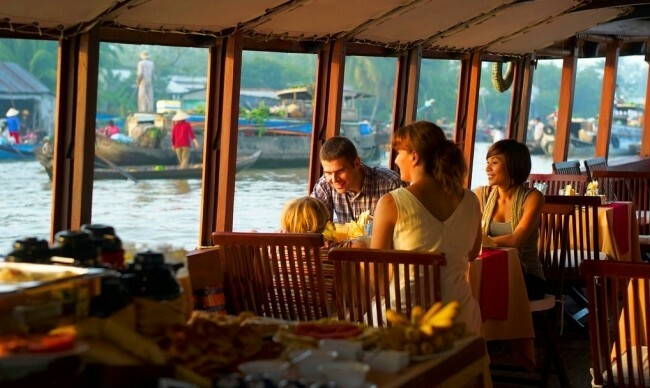 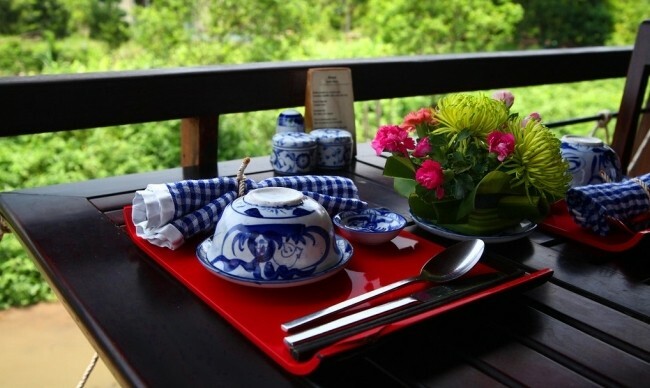 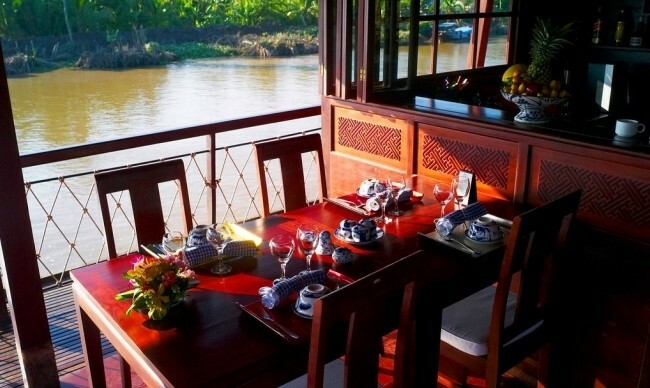 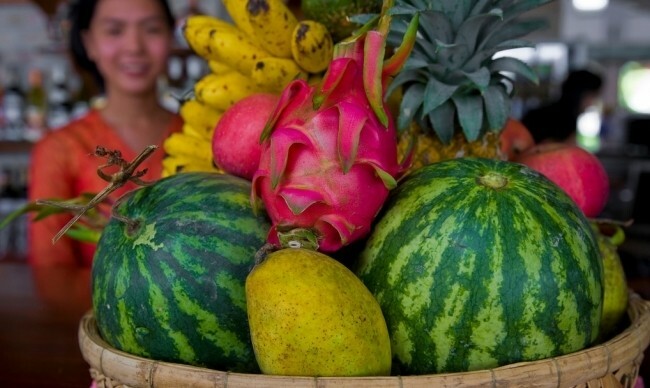 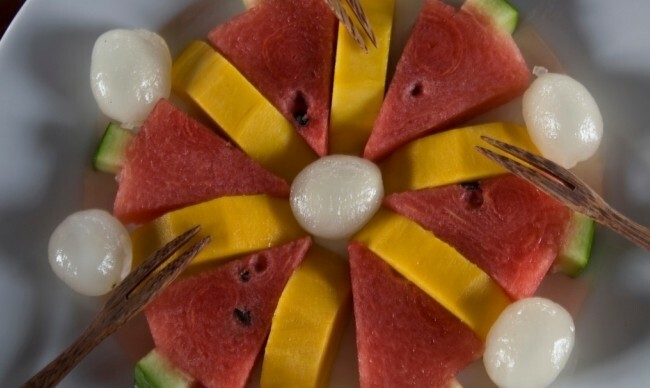 Good for : Small group, Family, friends, Couples... those who want to experience and discover Mekong river truly. 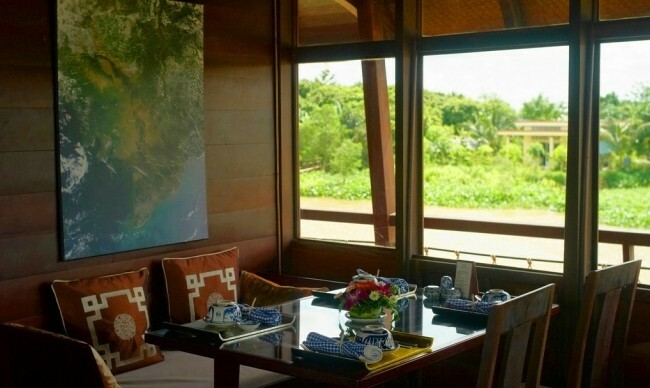 The cozy sunshine of the tropics in the morning is ideal for sunbathing. 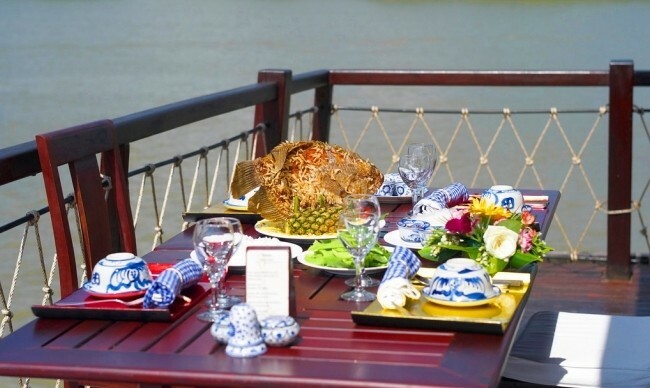 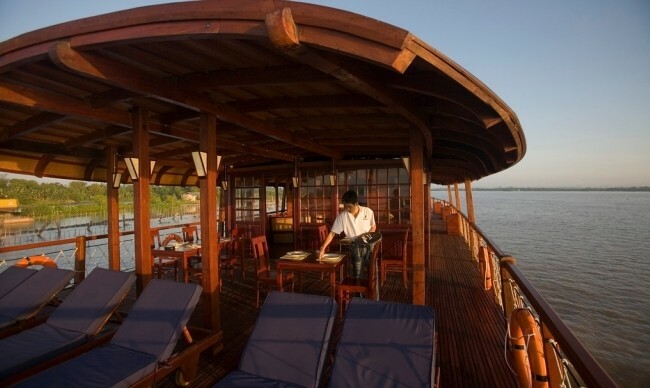 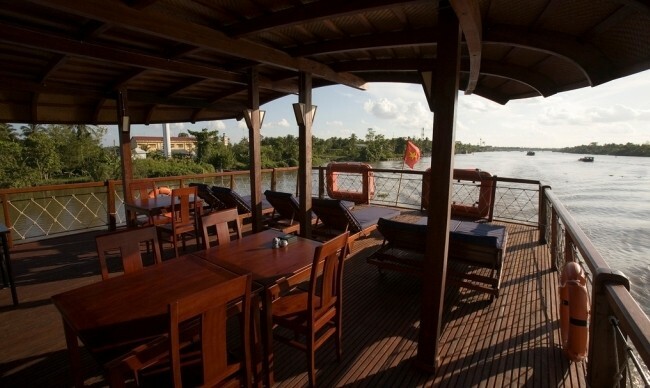 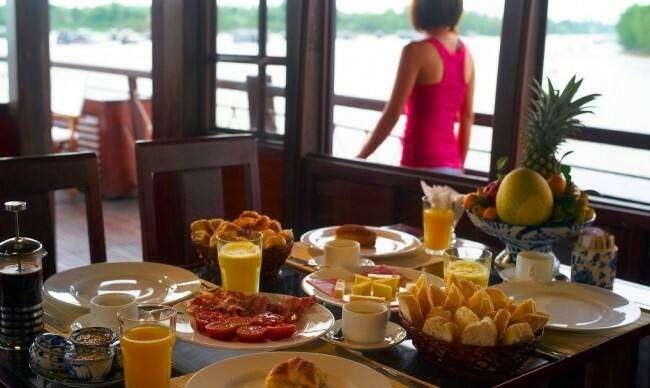 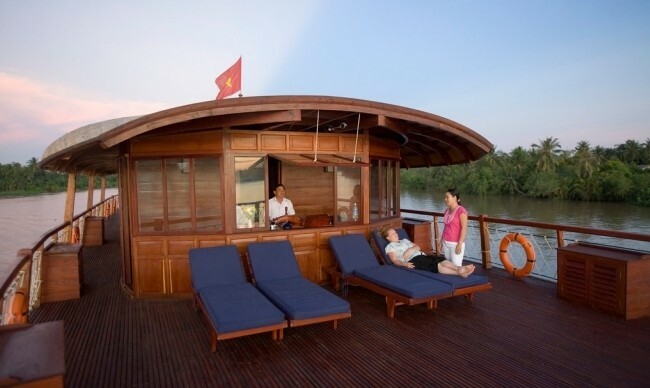 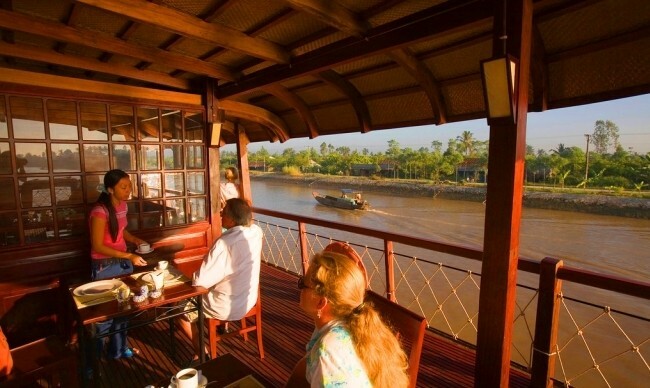 700 sqft of sundeck provides tourists a spacious ambiance to have sunbathing and enjoy the overview of the fascinating scenery on Mekong River. 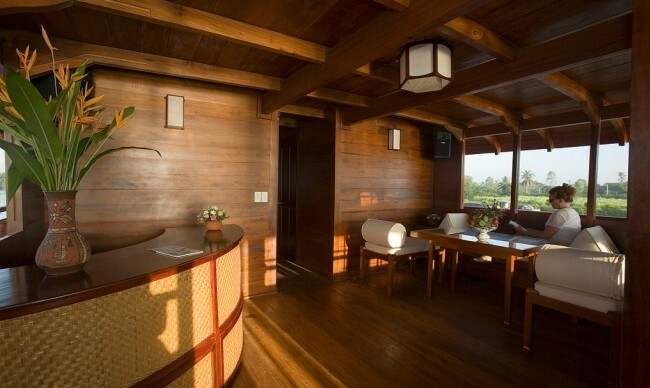 Several sunbathing couches are arranged ready for you to rest. 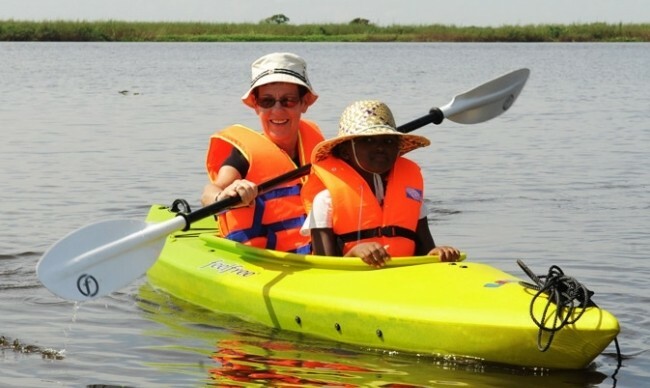 Kayaks are available on board if you like joining active activities during the journey on Bassac Cruise. 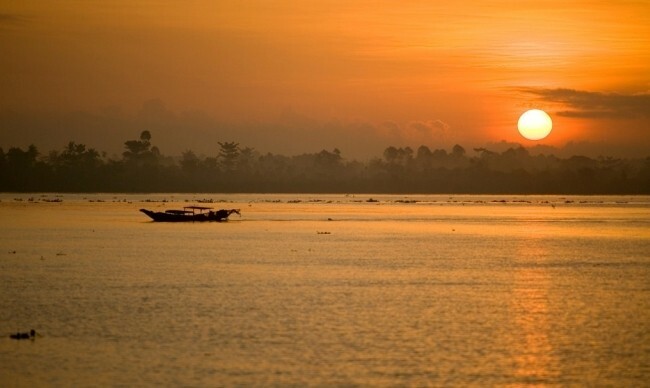 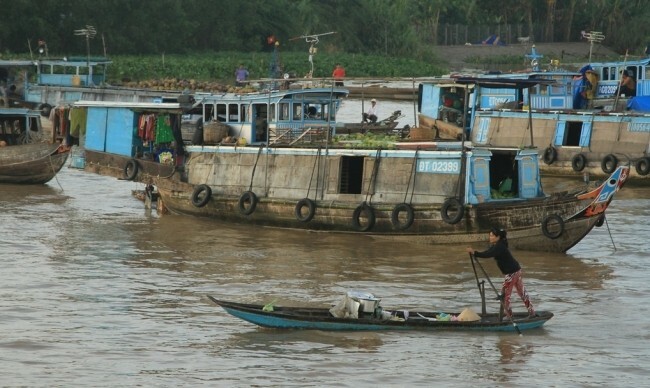 With guided kayaking, tourists can discover the small canals and arroyos of Mekong River. 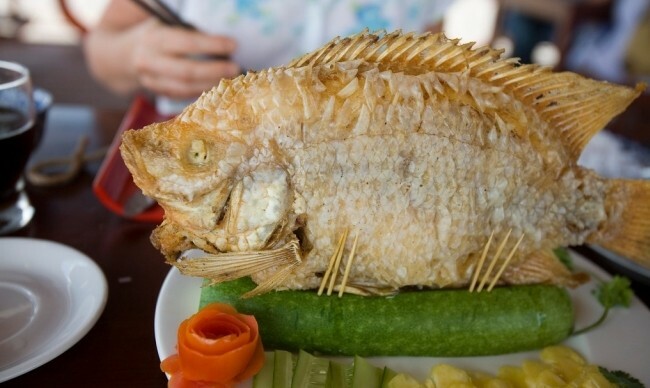 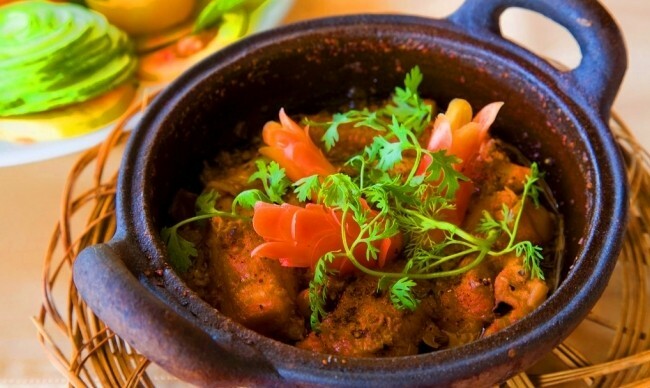 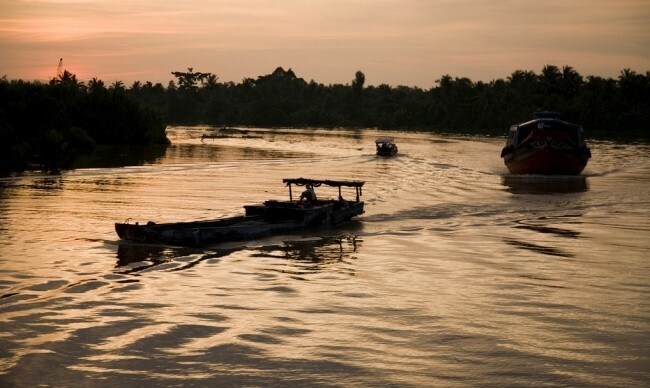 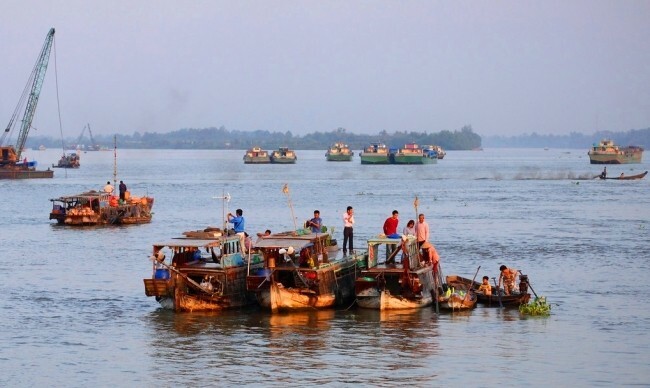 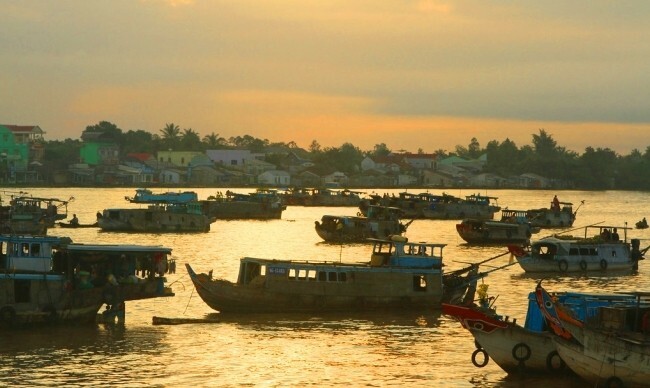 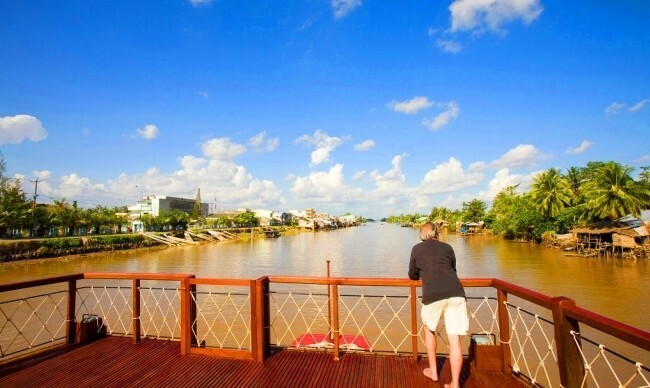 This will give you a deep insight into the aquatic life in amazing Mekong Delta.